Nokia has today announced the Asha series in India with the launch of Nokia Asha 200 and Nokia Asha 300. Also Nokia has launched the Nokia X2-02 and free Music service on all the devices launched today in India. The Nokia 200 is Nokia’s first QWERTY dual-SIM device offering one-click access to email and chat via Nokia Messaging and other social networking services like Facebook. The phone comes with Nokia Browser and Webapps for rich internet experience. Like other dual SIM phones from Nokia, Nokia 200 offers smarter multiple SIM management that allow the user to personalize up to five SIM cards and an Easy Swap option that lets users change SIM cards in seconds without having to turn off the phone or remove the battery. The device comes with a 2 megapixel camera with 4X zoom, high performing loudspeakers and enhanced stereo FM radio. The Nokia Asha 300 features both a touch screen and keypad to make it easier than ever to text and message friends. It is also one of the first mobile phones to offer Angry Birds pre-installed. The colorful Nokia Asha 300 gives fast and easy 3G access to the internet and thousands of apps in the Nokia Store. The Series 40 phone has a sharp 5 megapixel camera for taking great photographs, which can then be easily organized and edited in the Nokia gallery before being uploaded to favorite online communities such as Facebook. 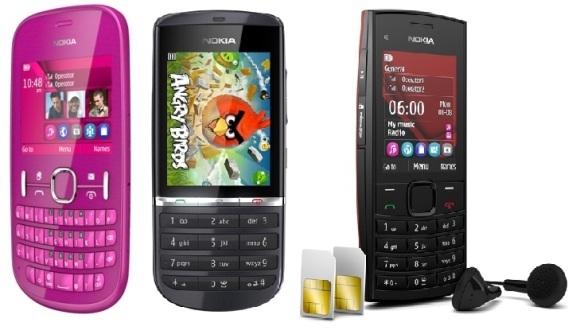 Music lovers can enjoy the Nokia Asha 300’s great music player, built-in FM radio and Bluetooth connectivity. The latest addition to Nokia’s dual SIM portfolio, Nokia X2-02 comes with Easy Swap and gives users the option to personalize up to five SIM cards. 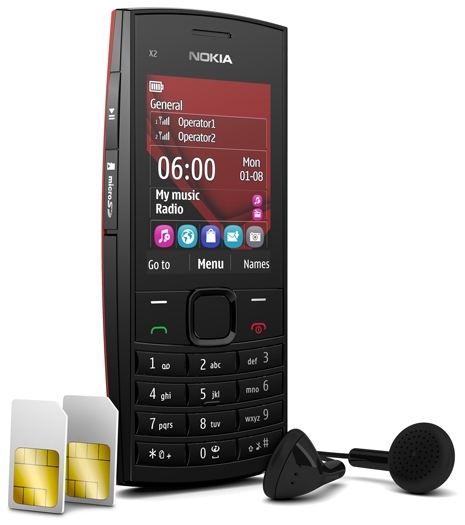 With its music features like Play via Radio feature, FM recording, in-built loud speakers and dedicated music keys Nokia X2-02 offers complete music experience. The Nokia X2-02 comes with a Nokia Browser and Web apps for a superior internet experience and expandable memory capabilities of upto 32GB. Nokia has also announced the Nokia Music Unlimited service which will be available on the devices above. The service was so far available on select hi-end devices and had received positive response from the consumers and Nokia is now all set to give price-conscious music lovers an unparalleled & faster entertainment experience by offering this innovative music service on its latest affordable range of phones. Nokia’s DRM free music offering for the masses is set to democratise legal music consumption in India as it comes packed with features such as: DRM-free tracks; pre-activation (on the device); easy browsing, downloading & renewal through the device itself, among others. Nokia Music Store includes extensive catalogues from major global labels like Sony Music Entertainment and EMI Music and Nokia’s local partnership with Indian Music Industry (a consortium of more than 150 music companies), Hungama that represents major labels including Yash Raj, T-Series, and SIMCA (South Indian Music Companies Association), amongst others. The prices of the devices will be announced soon, so keep a lookout over here.